Blog Java and J2EE Tutorials What is Java Collections Framework? Benefits of Collections Framework? 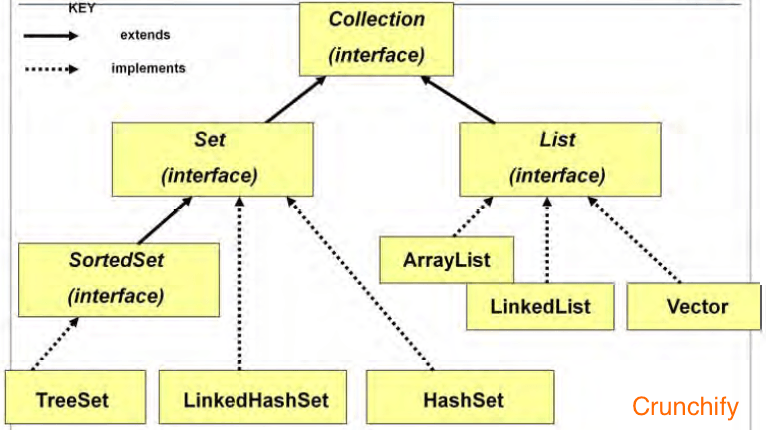 Java Collections are used in every programming language and initial java release contained few classes for collections: Vector, Stack, Hashtable, Array. But looking at the larger scope and usage, Java 1.2 came up with Collections Framework that group all the collections interfaces, implementations and algorithms. Java Collections have come through a long way with usage of Generics and Concurrent Collection classes for thread-safe operations. It also includes blocking interfaces and their implementations in java concurrent package. This avoids ClassCastException at Runtime because you will get the error at compilation. Also Generics make code clean since we don’t need to use casting and instanceof operator. It also adds up to runtime benefit because the bytecode instructions that do type checking are not generated. one of the important benefit of Java Collections Framework is Code quality is enhanced with the use of well tested collections framework classes. Reduced effort for code maintenance by using collection classes shipped with JDK. overall well written article. keep sharing! Thats true Kearlex.. Thanks for stopping by..